J.M. Coetzee's writing is often bleak and never funny, but the author also can be surprisingly generous and even loving. The work of Samuel Beckett is unsparing, but funny. The work of Thomas Bernhard is harsh and bleak, but funny. The work of J.M. Coetzee is unsparing, harsh and bleak, and not funny at all - not ever. His is a vision in which the horror of the human condition trumps its absurdity every time. And of late, it is a vision uncloaked by the consoling trappings of realism. 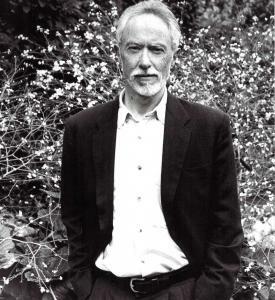 As the narrator of Coetzee's new novel observes - a narrator who, in many particulars, including his initials, his schooling, and the names of his novels, resembles the author himself - "Growing detachment from the world is of course the experience of many writers as they grow older, grow cooler or colder. The texture of their prose becomes thinner, their treatment of character and action more schematic . . . The syndrome is usually ascribed to a waning of creative power . . . Yet from the inside the same development may bear a quite different interpretation: as a liberation, a clearing of the mind to take on more important tasks." In "Diary of a Bad Year" - as in its predecessors "Slow Man" (2005), and "Elizabeth Costello" (2003), only to a greater degree - Coetzee has spun the novel form into his own hybrid of essay and stylized fiction, a work in which character, setting and plot are subsidiary to metafictional and philosophical reflection. In this case, the very page is a divided entity: Each is broken horizontally into three sections, so the reader must decide whether to read one narrative strand at a time, or all three simultaneously. The section running along the top of each page, and which constitutes the bulk of the book, is made up of the narrator's essays: in the first instance "Strong Opinions" on subjects as varied as terrorism, Tony Blair, national shame, intelligent design, Harold Pinter, music, and political life in Australia; and in the second instance, gentler opinions on more personal subjects, such as "On being photographed" or "On having thoughts." or "On boredom." The "Strong Opinions" have been commissioned, it is explained, for a German publisher, who is putting together a collection by the same name: "The plan is for six contributors from various countries to say their say on any subjects they choose, the more contentious the better. Six eminent writers pronounce on what is wrong with today's world." The second, central section of each page is devoted to the narrator's interactions with a young Filipina woman named Anya, who lives in an apartment upstairs from his, and whom he hires to type his dictated essays. Inevitably, hopelessly, he lusts after her (he is 72, some years older than his creator; she a mere 29), and his account of her, and of their exchanges, is gestural rather than fulfilled. She is at once a goddess ("As I watched her an ache, a metaphysical ache, crept over me . . . And in an intuitive way she knew about it") and a bimbo "She speaks French with an accent the French probably find charming but has not heard of Voltaire. She thinks Kyoto is a misspelling of Tokyo." Insofar as the novel has a plot, it unfolds in this third section, where Anya's partner Alan reveals himself increasingly as a counterpoint to the old-fashioned, highly self-aware and self-critical intellectual J.C. A doer rather than a thinker, Alan is a money-maker, without history (an orphan, he was raised in a home), without scruples, appalled by the antique niceties of J.C.'s intellectual outrage. Whether as a result of this disgust, or simply as a result of his own nature, he hatches a plan to divest J.C. of his savings, invisibly and untraceably, using his computer savvy. This plot, however, is all but a feint, and Alan is all but an irrelevance, subject to the very schematic treatment of which J.C. writes. Alan is left in outline so that J.C. - and J.M. Coetzee - may concentrate on "more important tasks." The essays - some faintly predictable, others deliciously surprising, all fierce and intelligent - are that more important task. And although the narrator and the author are very pointedly not the same, there is some sense in which reading this book may be as close to a personal conversation with J.M. Coetzee as any of us is likely to get. His narrator may not be as accomplished as Coetzee himself, but we learn that J.C. worries that the critics call him "a pedant who dabbles in fiction," and frets "do I really qualify as a thinker at all, someone who has what can properly be called thoughts, about politics or about anything else?" We learn that J.C. laments that his art "is not great-souled . . . lacks generosity, fails to celebrate life, lacks love." These essays may be analytical (J.C. is not a philosopher; nor is J.M. Coetzee; but both are certainly fine thinkers), but their import is ultimately emotional, even passionate; and it is from them - from the top of the page, indeed - that the novel's most powerful emotions emanate. Taken together, these essays create a compelling, even lovable, portrait of a chilly and curmudgeonly aging writer. Tellingly, J.C.'s last opinion concludes with a tribute to "Mother Russia." "for setting before us with such indisputable certainty the standards towards which any serious novelist must toil," that is to say "the standard of the master Tolstoy on the one hand and of the master Dostoevksy on the other. By their example one becomes a better artist; and by better I do not mean more skilful but ethically better. They annihilate one's impurer pretensions; they clear one's eyesight; they fortify one's arm." It is a resounding conclusion, at once humble, forceful, and - given how unlike Tolstoy Coetzee is as a writer; and how unlike Dostoevsky also - poignant, too. It is also the opinion that enables the novel to end in grace. Anya, in the last 90 pages, transcends her gestural, schematic treatment, and becomes a complex, compassionate individual. The strange peace that she and J.C. are able to reach together is perhaps a first for Coetzee: It may not be funny, but it is generous, and loving, and comes suspiciously close to a happy ending.